Some things have also stuck with us that we would like to quickly get off our chest,. PErhaps you have seen these quirks too? 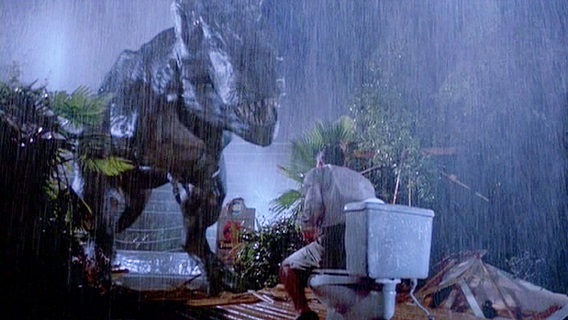 Take a look at our top ten times Jurassic Park made us ‘REALLY?”. Sit back and enjoy some of our most memorable times Jurassic Park made us go… ‘Really?’. Not our first one is a bit of a classic and quite how this ever slipped the net, we have no idea! 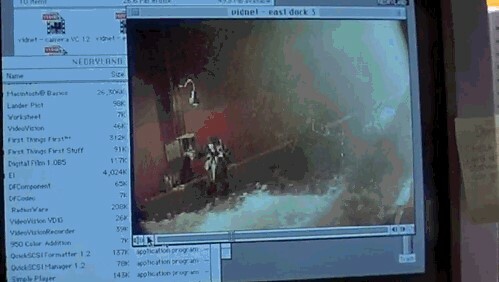 Remember when Nedry is watching the live footage of the dock worker so he can plan his escape? Well… you can actually see it’s simply a video playing with a play bar and pause function. Really? It’s amazing how much can change overnight,, right? Buuuut maybe not this much. If you look closely, when Alan, Tim and Lex first make their way up to the tree for safety and rest, the tree is pretty bare. Skip forward to the next morning when they are woken by the Brachiosaurus and suddenly the tree is lush with leaves and life. Really? If Jurassic Park were real, they would have way bigger issues than they end up with! Towards the start of the film when they first arrive through the legendary gates of the park, you might have spotted that the main fence seems to have a whole lot missing on the left. They could just walk out! Really? Time and a place man! 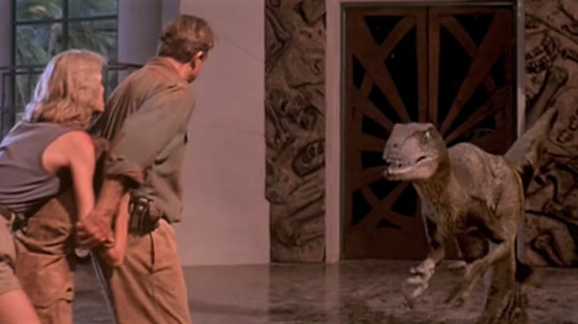 We totally get that Donald Gennaro must have been scared when the T-Rex went full fury on the place, by leaving the Tim and Lex in the car to go hide in a toilet block made of paper and plywood (we assume!) for safety and actually sitting on the loo. Really? You can try and fool us, but we dino-saw it! 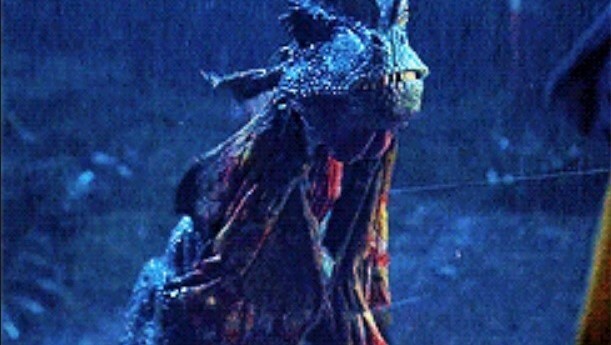 Remember when the Dilophosaurus is haunting Nedry in the rain? Just before it gives us its big reveal, if you look closely you can see the strings holding it’s ‘flaps’ down. Really? Okay, forgive us but this one is pretty nerdy! 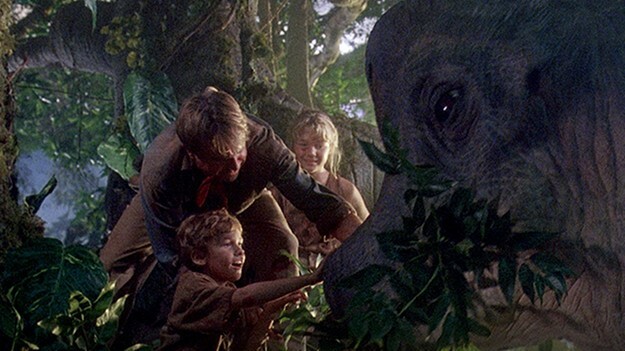 It’s safe to say that Spielberg used a fair share of dramatic license when creating this 90s classic, however, it seems this one thing has really changed the way pretty much an entire generation see a species. We’re talking about the Velociraptors. In reality, these hunting masters were no bigger than a large Turkey and had feathers instead of the 6-foot high scare-fests we’re shown in the film. Spielberg knew this and lied… Really? This one has always smelt a bit funny to us, excuse the pun. 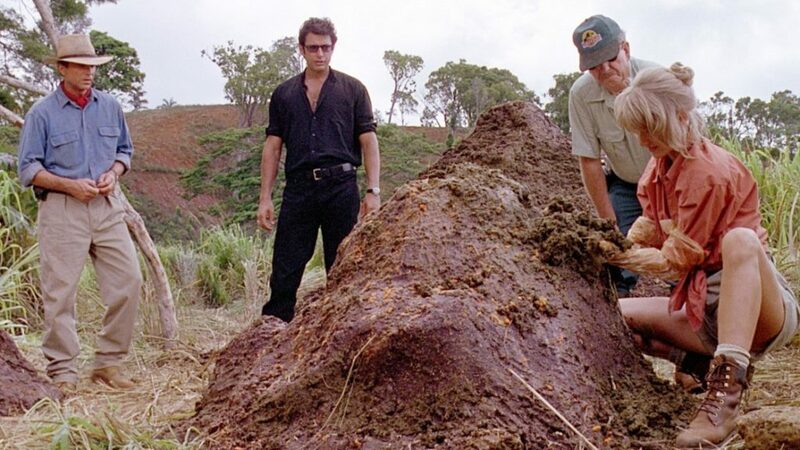 When they leap out the truck go to help the sick Triceratops and Jeff says the iconic line ‘That is one big pile of s**t!’, well it’s not just big, but it’s HUGE! It appears that the poor animal has parked around half it’s body mass in one go giant. Really? Our next one would have never happened if everyone had a smartphone on them. Turns out that while the clever boffins in the lab could bring back to life pre-historic beasts, their spelling perhaps needed a brush-up. 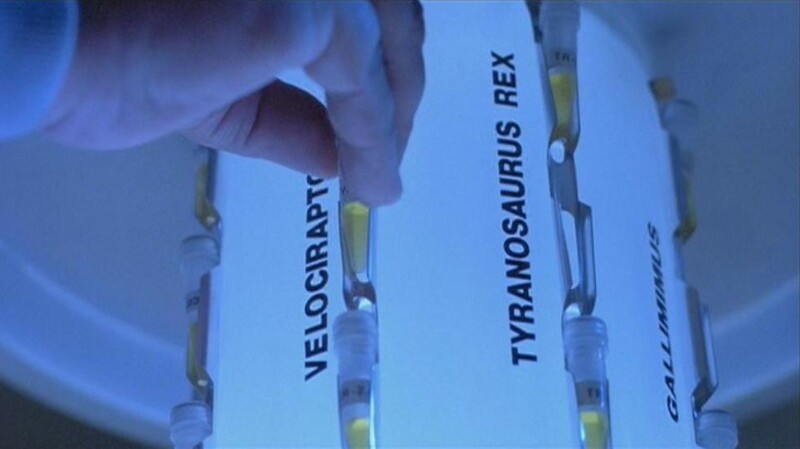 Looks closely at the labels in the lab, they have misspelt Tyrannosaurus Rex AND Stegosaurus. Oops! One we just can’t leg-o! 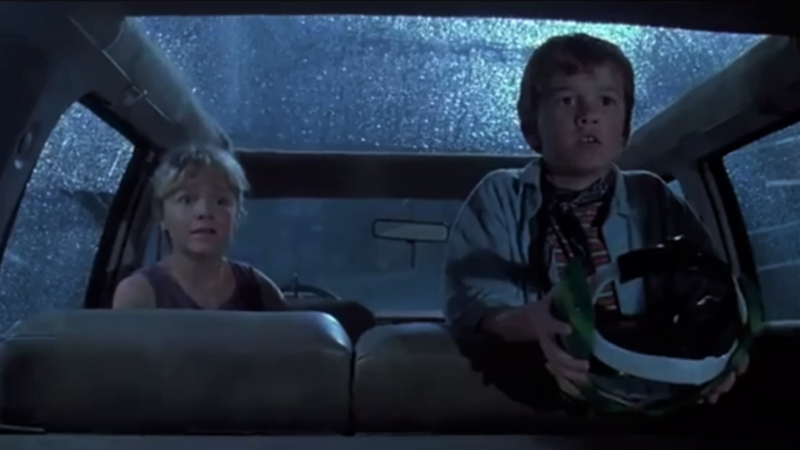 Remember the scene when the T-Rex has started ripping apart the fence, then poor Goat’s leg then slams into the clear roof of the truck with Tem, Lex and Donald in? Well, watch closely because just a few seconds later when Donald decides to make a break for it, you can see that the leg is no longer on the roof! Who is it for Hammond? So remember when they first get to the island and Hammond is showing them around the place a little? Well, the video he shows of himself with them that he interacts with… who is this for? Seems like this trick would be more of a one-time deal unless he will be hanging around there for every time is it played to guests. We mean…. really? So there you have them, folks! 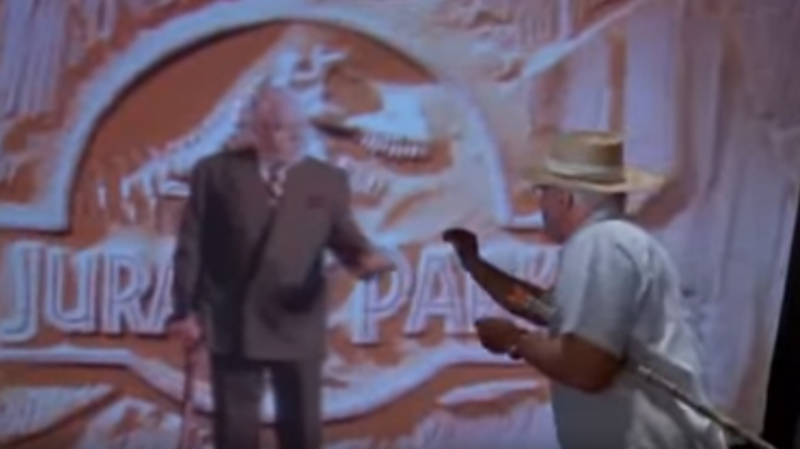 Sure, Jurassic Park isn’t perfect as we’ve seen but would we change it? Not a chance! We love all the little elements of this total groundbreaking movie classic and that’s what makes it so special. 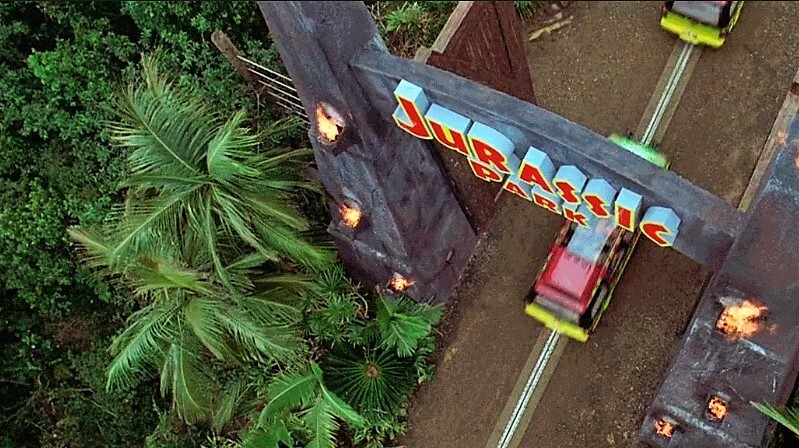 What things have always stuck with you about Jurassic Park? Previous PostPrevious Looking For Bag Loads Of Disney? Shop Our Loungefly Collection!